I cannot tell you why I decided to grow tobacco. I cannot tell you because I don’t understand myself. Early spring a photo of a white trumpet flower caught my eye while rifling through seed packets at the garden shop. Likely I was looking for nasturtium seeds–one of the few flowers that grows with little encouragement. My family loves nasturtium (Tropaeolum majus) with its shaggy carpet of edible orange and lemon flowers. The hardy blooms bring a sunny outlook to our gray Portland mornings. Seed packets are arranged alphabetically and the Nicotiana sylvestris trailed after the nasturtium. Nasturtium are so robust even I can grow them. Truth is, they prefer neglect. Last week I wrote in my blog the seeds are so delicate a whisper will blow them away. Still, I managed to grow some starts indoors and then re-potted the blooms that are now taller than me. Wider, too. Each bush boasts a burst of white flowers that smell like jasmine. After the flowers fade we will gather the tobacco leaves, dry them, and save them for relatives and ceremonies. But I can’t take credit for a grand plan. Finding the seeds was serendipitous. And growing them makes me feel connected to place, to seed, to soil and to ancestors. 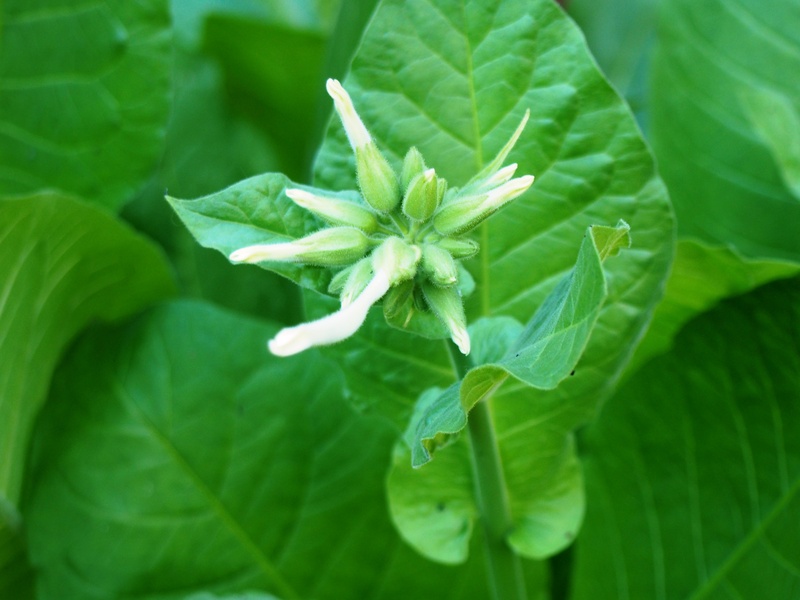 Canli is the Lakota word for tobacco and my Osage relatives call it nanuhu. This entry was posted in american indian, Indian, Lakota, native american, Native Science, Osage and tagged Indigenous Science, Lakota, Osage, rhetoric, science, tobacco. Bookmark the permalink.